The whole of Gujarat and Punjab is voting today in the seventh phase of Lok Sabha election along with some seats in Uttar Pradesh and Bihar that will decide the fate of top guns including Narendra Modi, Sonia Gandhi, L K Advani and Murli Manohar Joshi. BJP's prime ministerial candidate Narendra Modi casts his vote in Ahmedabad. 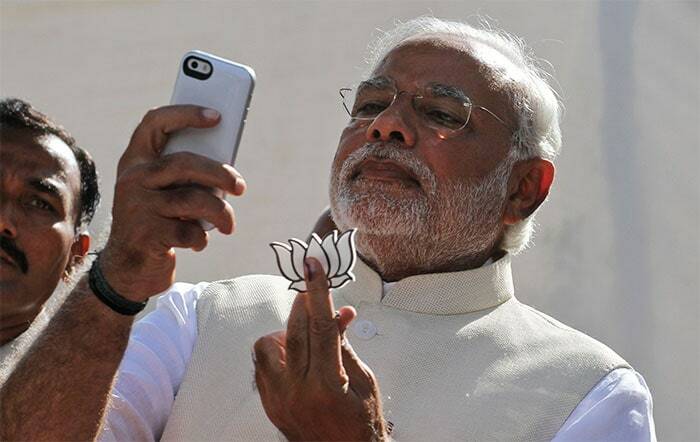 Narendra Modi takes a selfie after casting his vote. 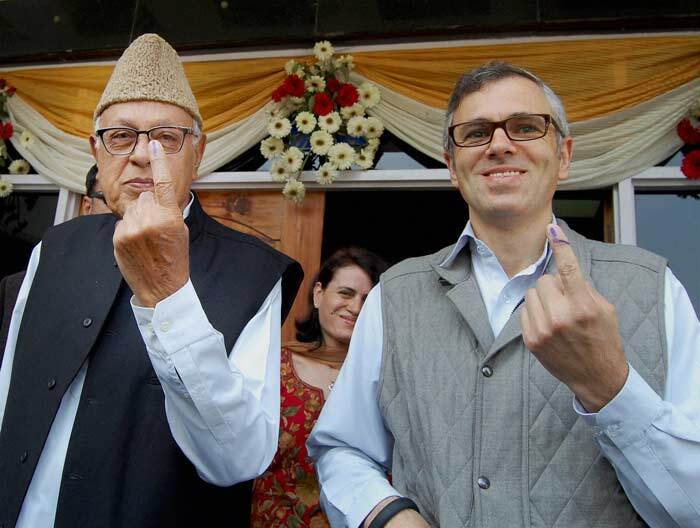 National Conference candidate Farooq Abdullah and his son and J&K Chief Minister Omar Abdullah show their inked fingers after casting votes. 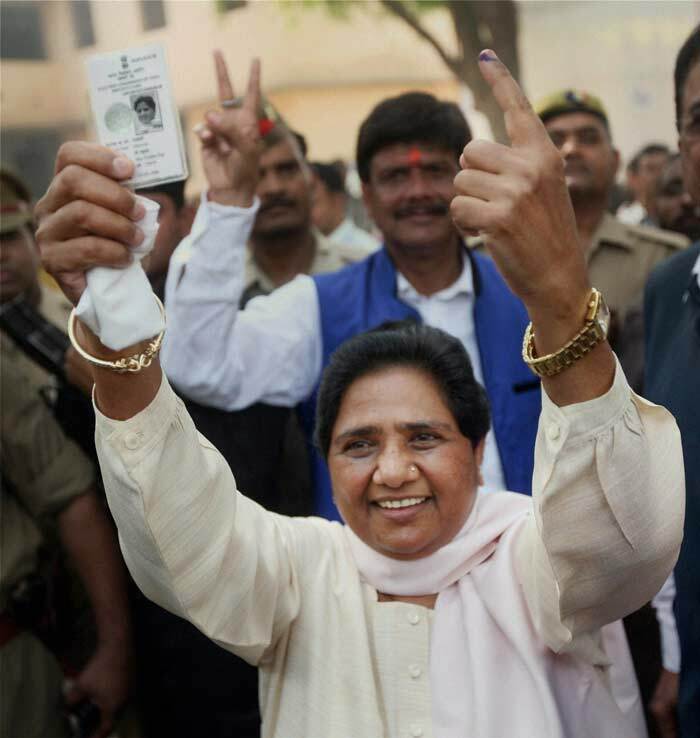 Bahujan Samaj Party (BSP) chief Mayawati leaves after casting her vote. 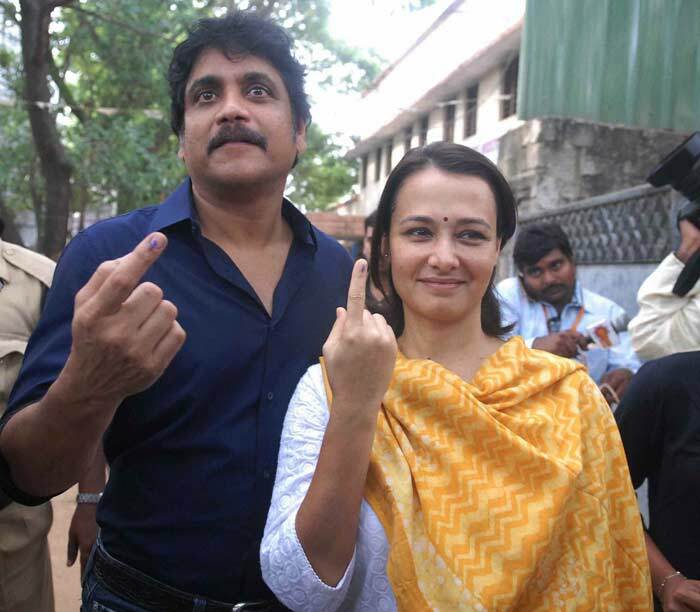 Actor Nagarjuna with his wife Amala show their ink finger after casting their votes in Hyderabad. 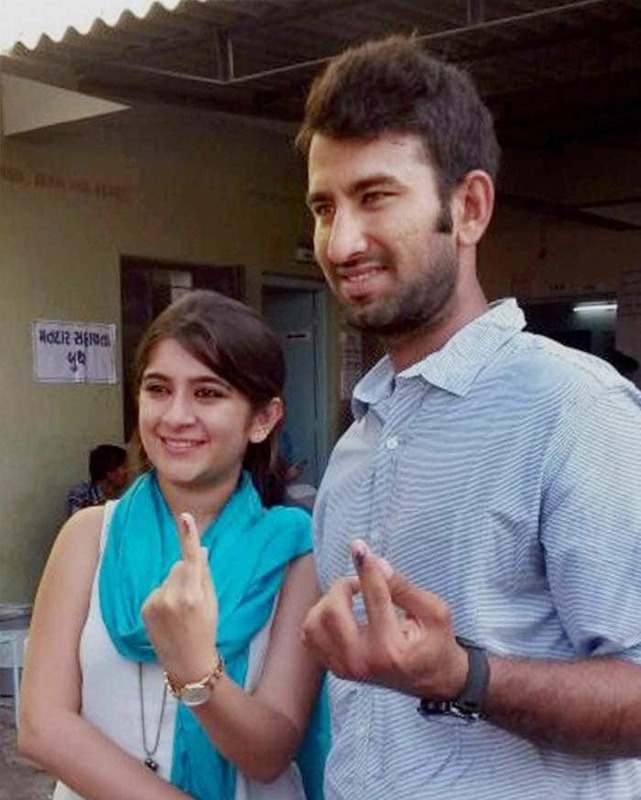 Cricketer Cheteshwer Pujara and his wife Puja display their inked fingers after casting votes in Rajkot. 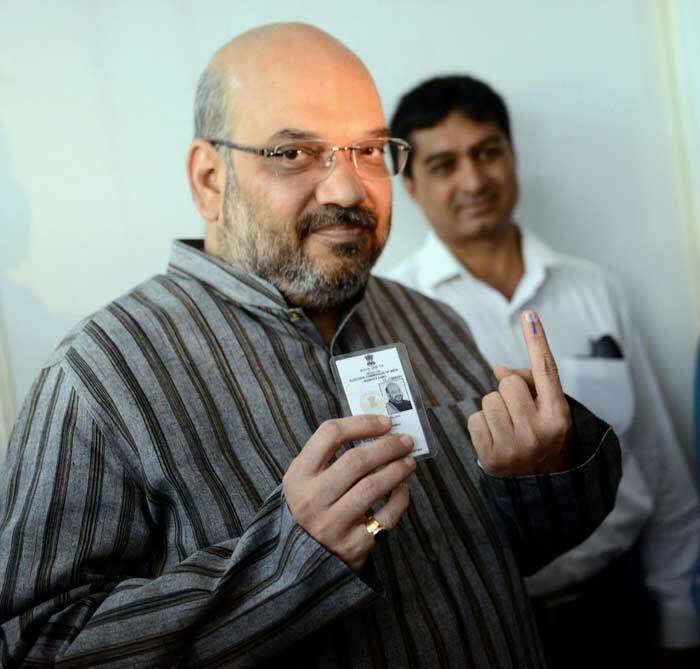 BJP leader Amit Shah shows his inked finger after casting his vote in Ahmedabad. 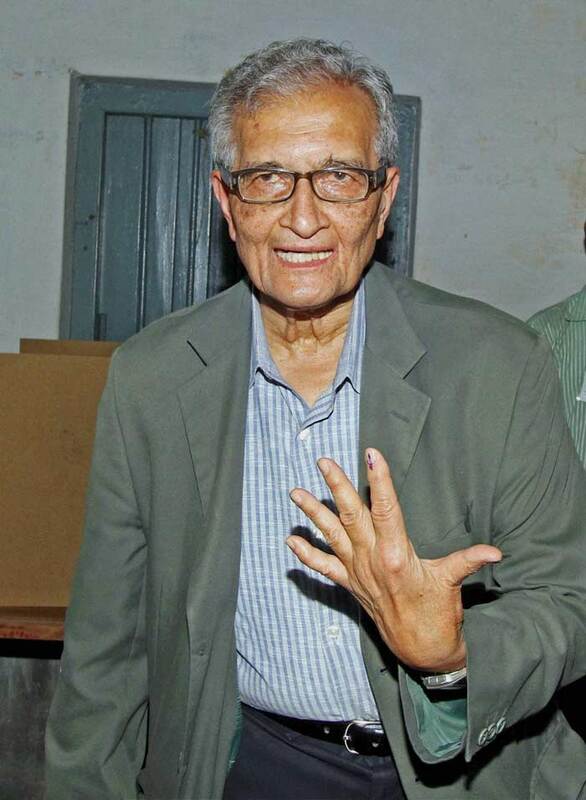 Nobel laureate Amartya Sen shows his inked finger after casting his vote in Santiniketan, Birbhum, West Bengal. 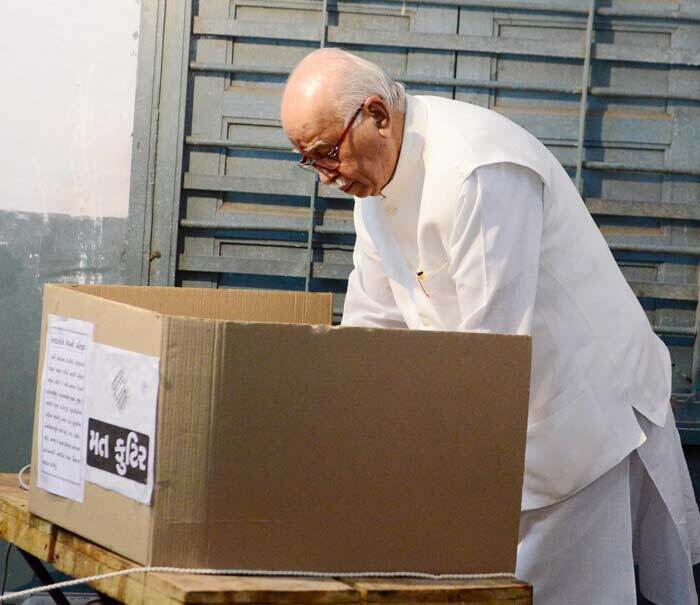 Senior BJP leader LK Advani casting his vote in Gandhinagar, Gujarat. Actor-politician Chiranjeevi (L) and his actor son Ram Charan Teja (R) outside a polling booth. 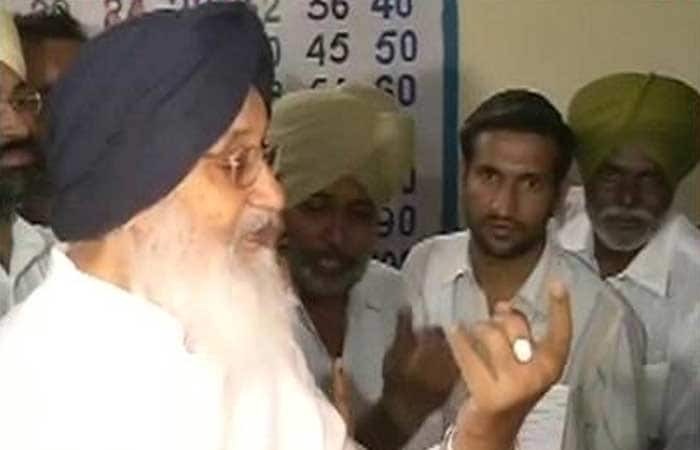 Punjab Chief Minister Parkash Singh Badal shows his inked finger after casting his vote in Bathinda. 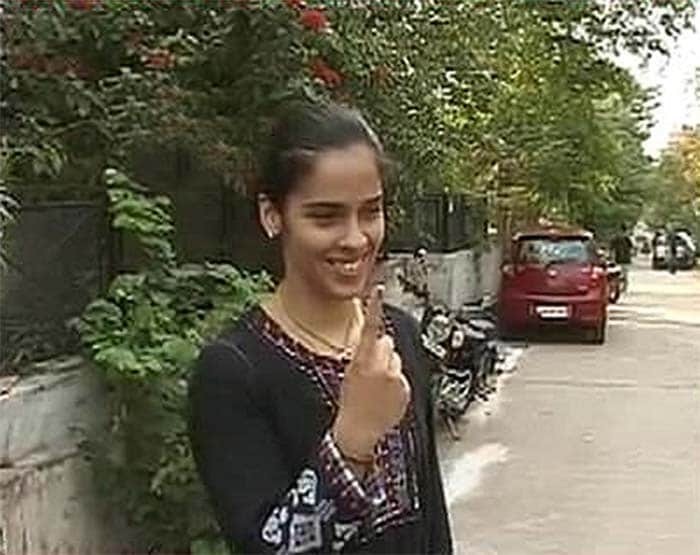 Ace badminton player Saina Nehwal casts her vote. 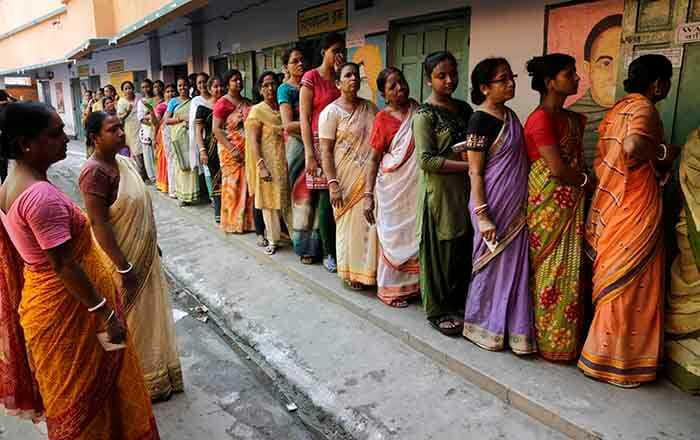 Women voters stand in queue to cast their votes at a booth in Shibpur, Howrah near Kolkata. 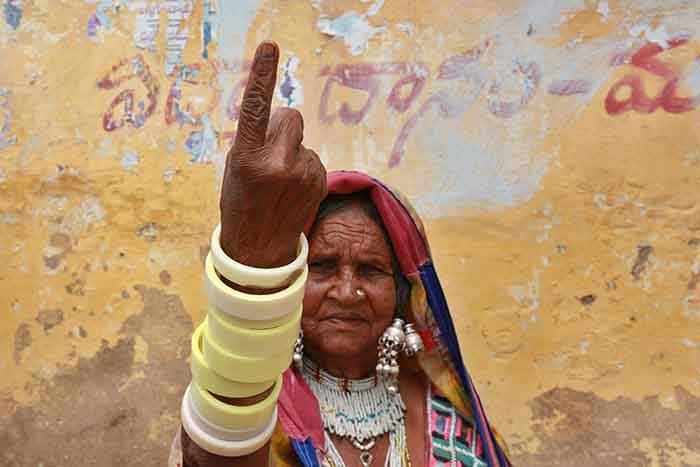 A tribal women displays her inked finger after casting her vote at a polling station on the outskirts of Hyderabad. 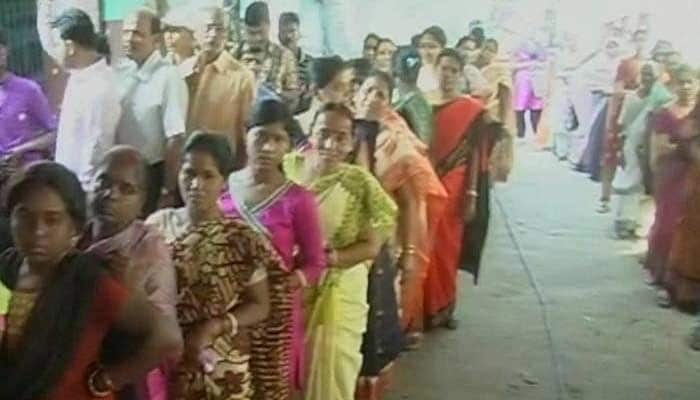 Voters queue to cast their ballots at a polling station at Rangareddy on the outskirts of Hyderabad. 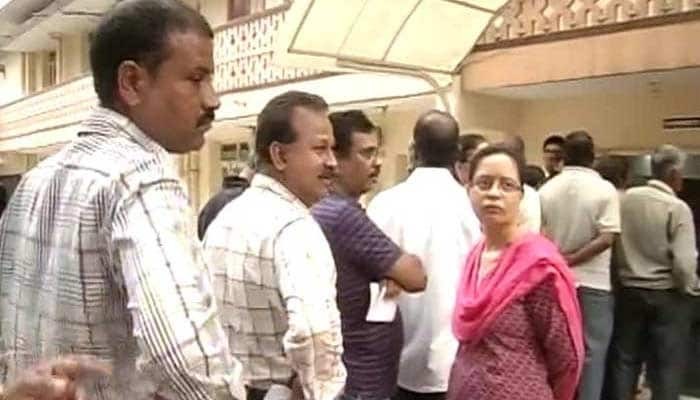 People queuing up outside a polling booth in Sreerampore in West Bengal. 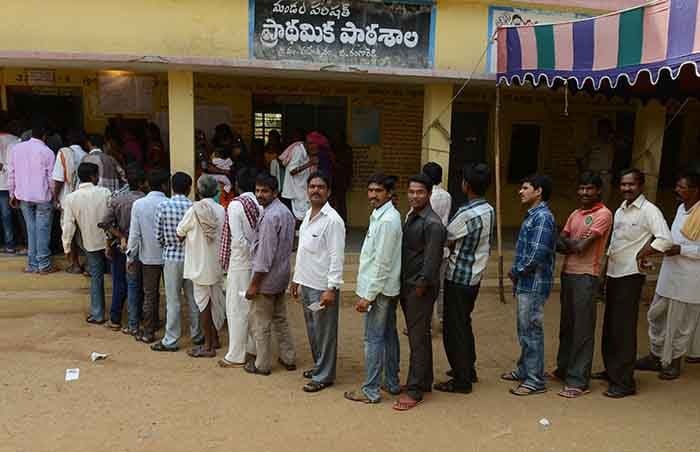 Voters outside a polling booth in Secunderabad Lok Sabha constituency in Telangana region of Andhra Pradesh. 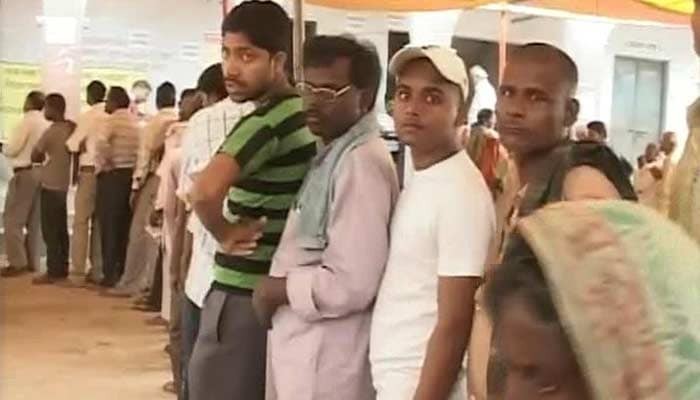 Voters line up to cast their votes in Madhepura, Bihar. 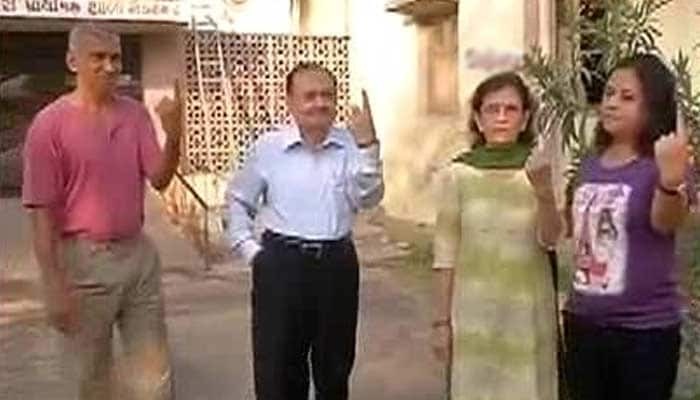 Voters show their inked fingers after casting their votes in Gujarat. 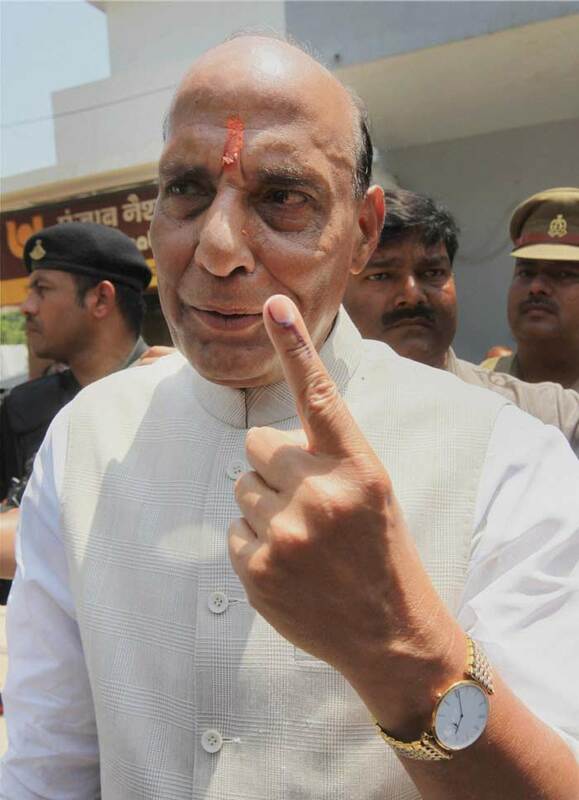 BJP President and candidate Rajnath Singh shows off his inked finger after casting his vote.